" 1993 - Sports Illustrated Video - The Year In Sports . 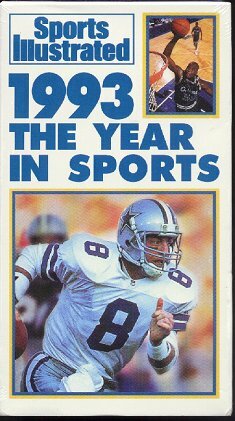 (1001) 1993 - Sports Illustrated Video - The Year In Sports. -Condition: Mint In Box - Never Opened. Enjoy the highlights of your favorite sports action from 1993 in theis 45 minute video. Contents include: Sites and Sounds of '93; Pro Football Highlights; College Football Highlights; College Basketball; Bloopers/Light Moments; Boxing, Pro Basketball, Hockey, Dubious Achievements; Baseball; and more. Price: $6.00 + shipping.